EUDs such as Android™ phones and tablets now provide an easy-to-use platform to display information from the Wave Relay® MANET. Persistent Systems designed its Android™ kit for users to easily view live, HD video, position location information, and network connectivity, or other data on the Wave Relay® MANET. 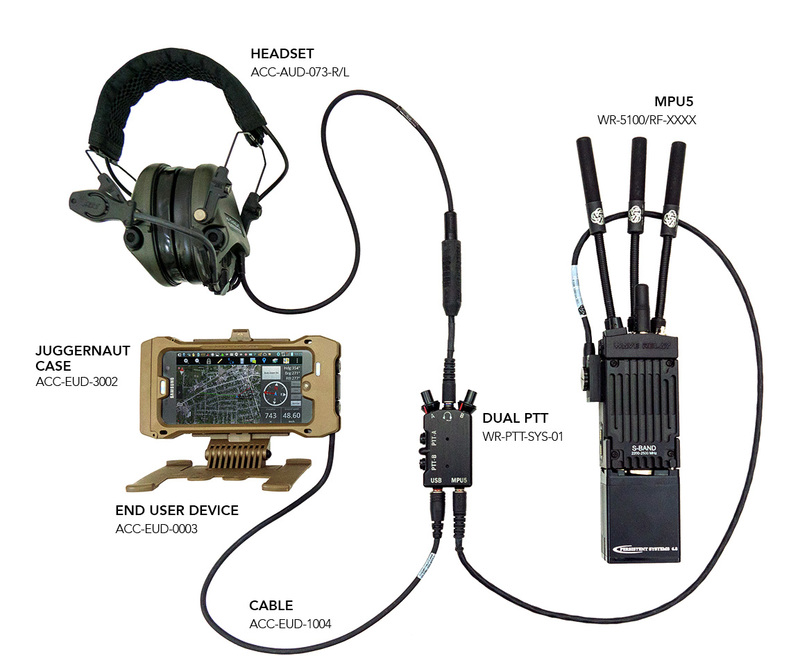 An Android™ EUD is inserted into a chest-mountable ruggedized case and connects directly to the Dual PTT to provide a lightweight, field-ready solution for total situational awareness as well as access to 16 talk groups and two dual active voice channels.